I’ve changed jobs many times in my life. 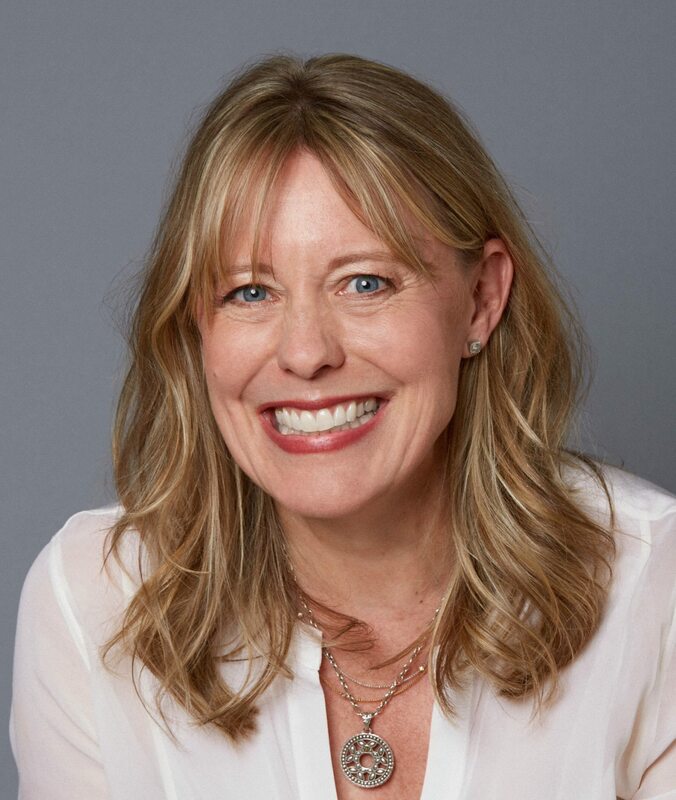 I worked as an actress in my twenties, a mom in my thirties, a high school English teacher and admissions officer in my forties, and a writer in my fifties. I’ve also moved around geographically quite a bit, so I’m very used to adapting to new circumstances. My career in acting was well before I had kids, and I gave it up for many reasons (such as lack of talent), but mostly because I couldn’t justify getting child care to go to endless auditions only to find out that I hadn’t landed a job. It seemed too extravagant. When my kids were still in elementary school, I took a job as a writing tutor in an English department of a big public high school. It was going to be the ideal job in terms of balance: I would be working part-time in my community school, and I wouldn’t have any work to bring home with me at the end of the day — Perfect! Unfortunately, before that job even began, a teacher unexpectedly left the department, and I was asked to teach high school classes instead. Teaching high school English, for me anyway, provided the opposite of work-life balance. I was a new teacher, had hours and hours of planning and grading to do every day, was simultaneously completing the coursework required to get my teaching certification, and I was coming home to three young children who needed everything, including (but not limited to) attention, transportation to Tae Kwon Do classes, help with homework, and something (anything) for dinner. I had a very tough time managing all of that. Right now I feel I am closer to achieving balance, but I’m still not there. 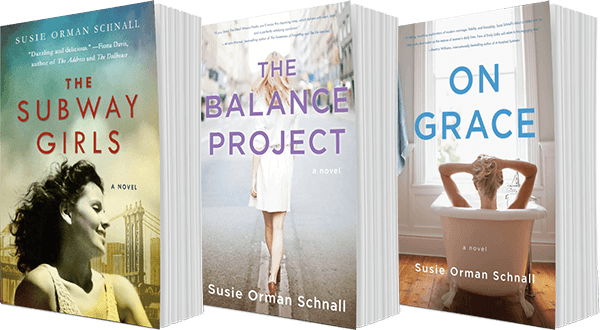 I am writing novels full-time and still parenting my three sons. This year we will be going through the college process with my youngest, which takes a lot of time and planning. My oldest has moved back home post-college, and my middle son is returning to college for his second year. My life is still pretty chaotic. If having “it all” means having it all at the same time, then no, I do not think it’s realistic for me. However, I think that women can have many chapters in their lives. And over time, through the years, one can certainly have it all. I have had chapters in which I focused more on family and chapters in which I focused on work. The challenge has been in the transition from one chapter to the next, finding the self-confidence to go from one job, say mothering, to the next, like teaching, for example. I suppose I prefer the phrase “work-life integration” because for me, work and life aren’t so clearly delineated. Work has always been such an intrinsic part of my adult life. And I’ve always accepted that some amount of my work comes home with me every day, either literally (grading English papers, reading admissions files, etc) or psychologically (stress!) or both. I’ve had many of those days when, in an effort to get everything done at work and everything done at home, I’ve done pretty much all of it poorly. But I get up the next morning, and I try again. Writing full-time has only exacerbated this problem because I don’t write on a 9:00 to 5:00 schedule… or on any kind of schedule actually. I write as long as I can keep going and be productive, which might mean I work straight through dinner and into the middle of the night. It might even mean that I stay in pajamas for an entire day. Fortunately, my kids are grown up enough now that they are perfectly happy to have me happily working, and they can take perfectly good care of themselves. My husband and I are a very good team, and we’ve been married 25 years. However, we have always found it difficult to balance the amount of time we spend parenting, working, and adulting with the amount of time we would like to take for ourselves. I actually wrote a piece for The Debutante Ball about the endless tasks that even a summer “break” brings. Work is time-consuming. As are kids, taxes, doctors’ appointments, pets, and all the rest of every day life, and chores. It’s hard to schedule a vacation for two in the midst of all that business. Or even dinner and a movie. Now that we’re almost empty-nesters, I would like to think my husband and I will spend more time together. I definitely have time management goals, but none of them are in use at the moment. Maybe someday? I love the idea of putting strategies in place to make life easier and more efficient — I plan to do this at some point in my life. For example, having a set time for exercise locked in the calendar seems like a swell idea. These days, I’m just trying to get through my to-do list, keep my kids’ heads above water, write as much and as well as I can, and have some quality time with family and friends. Moving forward, I would like to have a bit more structure in my life. From your mother? My mother always cautioned against taking on too much, overextending myself. “Don’t over-do,” was something she often said to me. From your spouse? My husband suggests I say “no” at work more often than he does. He has a very stressful, busy job, running two big brain imaging labs at New York University and in Frankfurt, Germany, and he finds there are very few instances when he actually can say no, as he is often being pulled in multiple directions. So he advises me to say “no” whenever I’m about to take on too much. From your kids? When I get stressed about writing a blog post or some other writing project, my son will say, “Seriously mom, nobody cares.” That may sound dismissive or even rude, but I find it tremendously comforting. When I’m getting overly concerned about clicking “submit” for a piece, editing my writing for the ten thousandth time, I just picture my kid saying, “nobody cares” and hit send. Reading. Nothing makes me happier than sitting down with a book and losing myself in a new story. I wish I’d known how fast it all goes. Although I’ve always been a very happy person, I wish I’d relaxed more. 60 is fast approaching! I hope to know that my kids are growing up to be perfectly happy, functional adults so I can worry less about them. (I’m a worrier by nature.) I hope to know that I’m capable of continuing this new job as a writer and that I have it in me to get better at it over time. I’d love NEVER to operate a vacuum cleaner ever, ever again. I would also like someone to make my bed for me every morning and give me turn down service at night. And I want my bathroom to be magically shiny and clean every day. And finally, I want to outsource the washing of all sheets and towels in my house. Basically, I want to live in a five-star hotel. I’m so, so, so sorry to give the corniest answer ever, but I have my dream job. I had to wait about thirty years to get my first book published, and I could not possibly be happier with my current job. Although I’m not a vegetarian, I would have a very tough time being a butcher. I’m reading The Address, the second novel by Fiona Davis. And I’m listening to Matthew Klam’s Who Is Rich? Activity? I watch far too much television! I love to binge-watch series (Transparent, The Crown, House of Cards, etc,…), and I’m hooked, unfortunately, on cable news. Food? Anything salty! I crave potato chips, olives, and pretty much all things cheese-related. I live just a few blocks away from Murray’s Cheese Shop in Greenwich Village, a store full of temptations! Website? I love shopping for shoes online, especially boots. I can waste an extraordinary amount of time browsing…. I am a very inconsistent sleeper! I get anywhere from five (anxiety-ridden) hours to nine (sedated) hours of sleep. Twitter is my preferred morning reading. 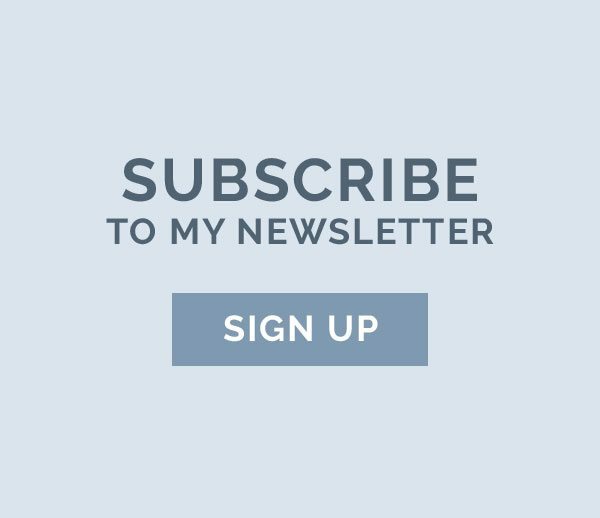 I love to get links to the articles I want to read from The New York Times and The Washington Post, see happy book news, and get the latest scoop from writers I follow. I think I: have an interesting idea for my next book. I wish I: would start exercising regularly. My kids: are growing up way to be really interesting, wonderful people. Above all, be the heroine of your life, not the victim . . . It will be a little messy, but embrace the mess. It will be complicated, but rejoice in the complications. but surprises are good for you. 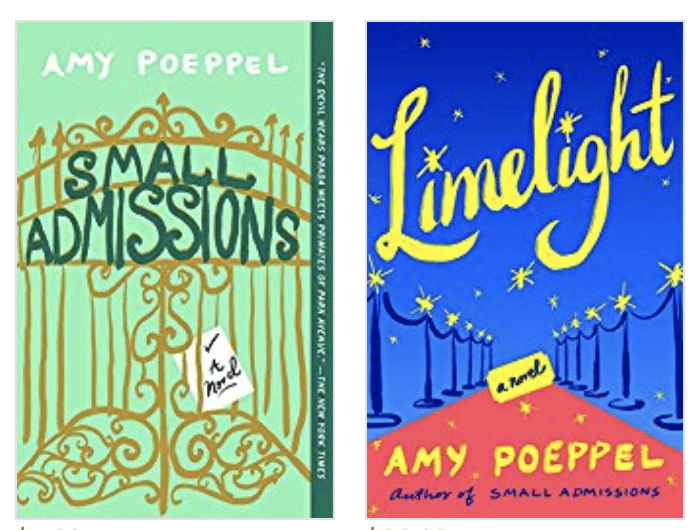 Amy Poeppel is the author of the novel Small Admissions. Originally from Dallas, Texas, she lives with her husband and three sons in New York City. She workshopped a theatrical version of Small Admissions at the Actors Studio Playwrights/Directors Unit. Her next novel, Limelight, will be out in May 2018. Her writing has appeared on The Rumpus, The Higgs Weldon, Mock Mom, and Working Mother.